We are thrilled at the formal announcement of our collaboration with partners MassBioEd (the Massachusetts Biotechnology Education Foundation) and New England Biolabs to make PCR more accessible to students and teachers. The three-way collaboration brings content, technology, and reagents into the hands of teachers eager to implement biotechnology labs. 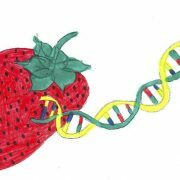 Together, we’ve created a self-contained module where students learn to use biotechnology to explore a real-world public health issue: an outbreak of contaminated food. In this simulated investigation, students identify the food source of an E.coli outbreak that has made the population ill. This activity engages students in a real-world problem with serious economic and public health consequences and showcases techniques commonly used in the industry. 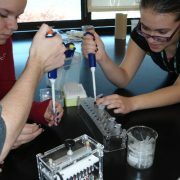 Through this collaboration, interested schools can now obtain the reagents to implement this lab, free of charge. This includes the classroom materials (presentation slides, lab protocol, and teacher’s guide) and the lab reagents needed to complete this experience for a full classroom. The reagents for this lab experience were made available through a generous donation from New England BioLabs, Ipswich, MA. Initially these materials are available on a limited scale as we seek to improve and expand this collaboration between miniPCR, MassBioEd, and NEB. To obtain more information or reagents, please contact us. 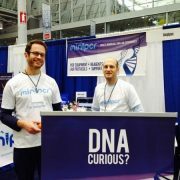 You can read the full announcement at the MassBioEd website.